‘Special September Teen & Adult Beginner’s Offer, 12 classes for only €40.’ Classes Tuesday 12th June 2018 at 8pm, at the Cabra Parkside Sports Centre, Ratoath Rd, Dublin 7. 087 698 7624 to reserve a place on the new beginners’ course. Join Grandmaster Howard today for your first step in improving your quality of life. You’ll find there is something for nearly everyone at this friendly, established martial arts school. We run a variety of sessions suited to your ability from beginner to advanced. Whether you are interested in improving your fitness, building your confidence or learning self defence, our schools can help to do just that! Our Taekwon-Do classes cater for adults, teenagers and children (especially families) from across Dublin, especially; Blanchardstown, Cabra, Navan Road, Finglas, Glasnevin, Castlekock and Phibsborough. Please note these children’s classes are very popular and fill up quickly. Standing orders are our preferred method of payment as it frees up both you and us to concentrate on your training. After your first (free) class, if you are happy with your training, you will need to pay your registration fee to the national governing body. This fee is €55 and €35 per annum for adults and teenagers respectively and covers your insurance and membership of the Republic of Ireland Taekwon-Do Association. 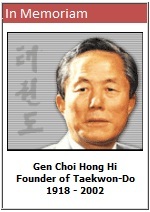 Family rate: We believe that Taekwon-Do is an important family activity and we are very proud to have so many families (Grandmaster Howard’s included) training with us. As such we have a special family deal where you only pay for the two oldest members of your family, while the rest train for free. Yes, that’s right, free, even if you have 3, 4 or 5 family members training.